Notes: One double room, one twin room, two sofa beds in living room. Space for cot. 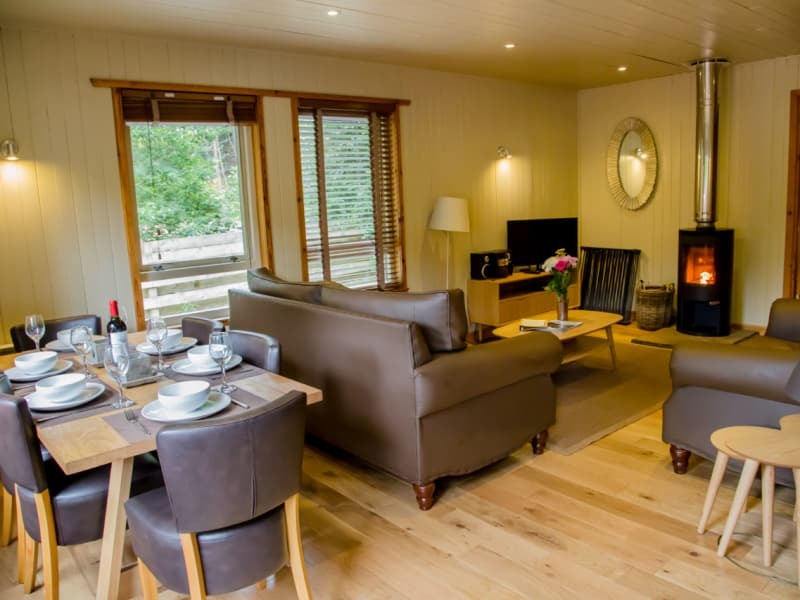 Fintry is a large, superior detached self catering chalet situated at the edge of Aviemore at Pine Bank Chalets. 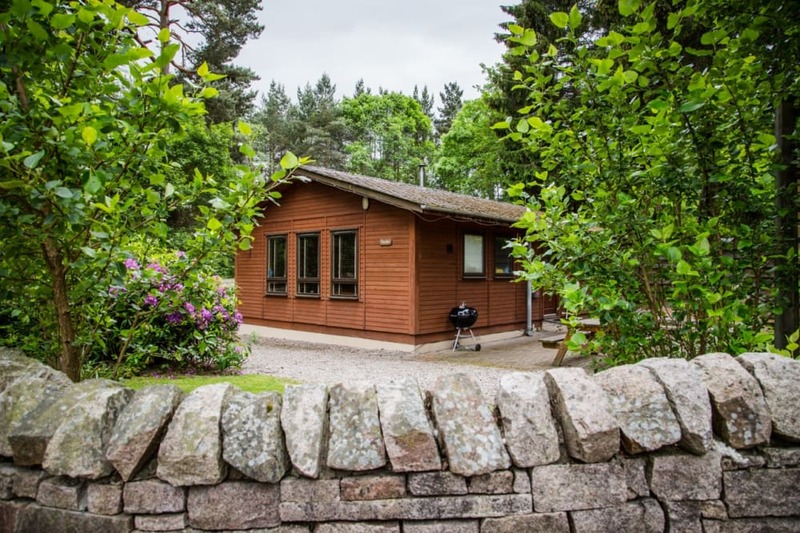 Sleeping up to 6, Fintry is perfectly suited to families or those just wanting some extra space. The twin bedroom features two pull out beds under the twin beds with deep mattresses, one of which can be set up in the bedroom, the other the living room. 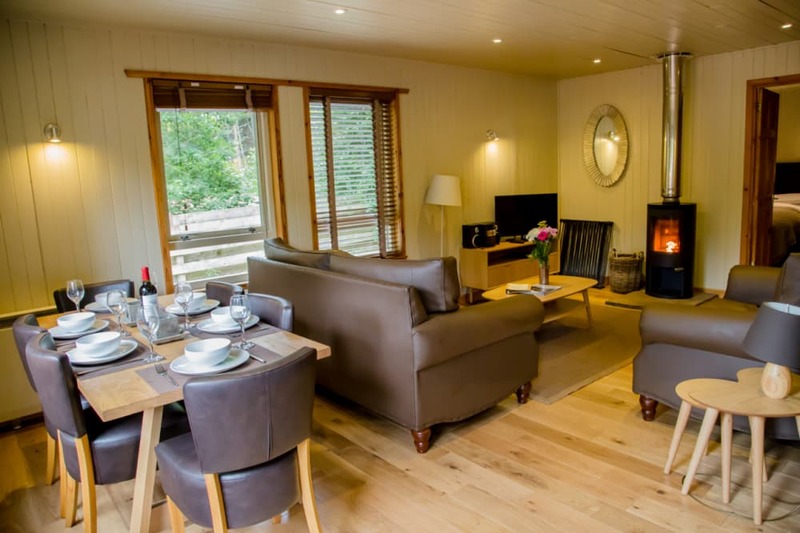 The chalet benefits from a large open plan living/kitchen/dining area with solid flooring throughout. There is a large solid ash table seating 6 in comfort for mealtimes and a Charnwood Wood Burning Stove in the living room. Outside is a private paved garden area with picnic bench and a Weber kettle BBQ for the warmer months. There is ample car parking right in front of the chalet.